I was binging on Discovery Channel shows and flipping between football games today. BTW, happy new year. I was amazed to watch as the people featured looked at pictures and video and described what they thought was in the video - a body, a tool, a hieroglyph, a UFO, and etc. I wasn't convinced. It seemed that all the pictures contained exactly what the producer wanted to see, but critical or scientifically based content analysis was never performed. Confirmation bias refers to a type of selective thinking whereby one tends to notice and to look for what confirms one's beliefs, and to ignore, not look for, or undervalue the relevance of what contradicts one's beliefs. As an example of this, most people reading this will look at the picture and think "egg and french fries (chips)." But, if you thought that when you saw the image, you'd be wrong. 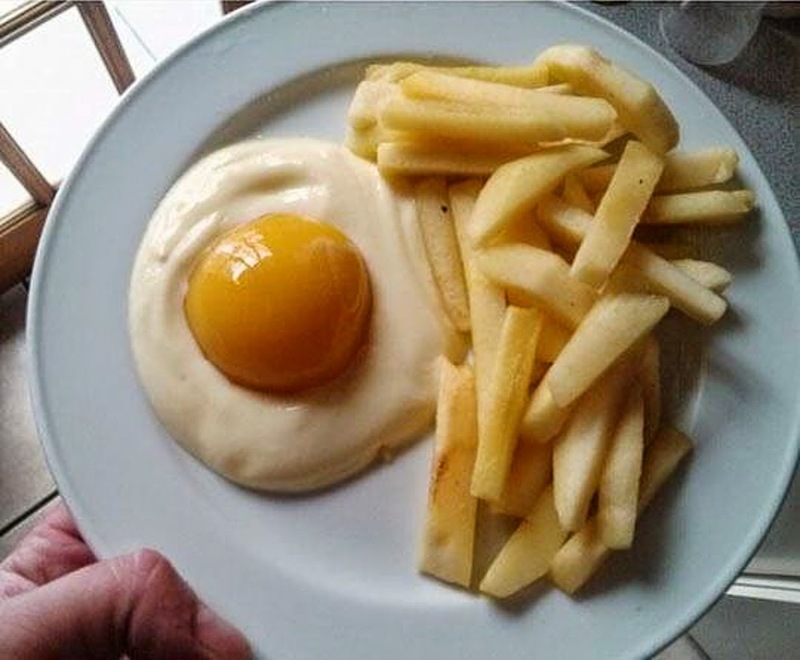 The photo above features apple slices and a half of a peach on yogurt. And this is the problem when the untrained eye and brain engage in content analysis. They can both be fooled quite easily.